Even though everyone seems to be talking about blockchains and how they are the future, there are still many skeptical people. The truth is that while there is plenty of information on the Internet, it is sometimes hard to find exactly what you are looking for about blockchains. So, there is nothing better than reading blockchain research papers. Discover different ways to improve your business to make it more profitable. While blockchains have been always associated with the financial industry, the reality is that this technology can be used for all the industries. From retail to automakers, transportation and logistics, healthcare and pharmaceutical, all industries can benefit from the blockchain technology. So, if you are interested in knowing a bit more about how this technology works and how it can be implemented in a wide range of industries, one of the best things you can do is to read these blockchain research papers. Discover the best blockchain technology books. This is definitely one of the best blockchain research papers that you can read. Written by Don Tapscott and Alex Tapscott, this paper covers a lot of different issues that need to be taken care of immediately such as governance challenges. And in order to do it, the authors of the paper state that blockchains are the only way to meet this goal. In this paper, the authors mention that there are three different levels in order to put blockchains into action. The first one is related to the energy consumption and scalability problem that Bitcoin is currently dealing with. The second refers to a more practical aspect that is related to making an interface that can be more user-friendly. And the last level refers to the need for a regulatory restraint as well as of a proper legal structure so that we can finally start using the blockchain technology. What is blockchain project management? Released back in 2016, this is another blockchain research paper that deserves to be read. 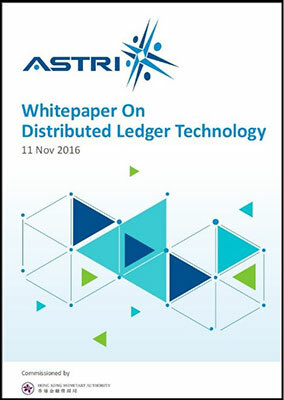 In this paper, you will see a complete examination of the distributed ledger technology on all the different perspectives. It shows you all the potential of this technology, the risks, but also the regulatory implications. In addition, this paper also identifies some uses for the blockchain technology that are related to the banking services and that should include the proof of work concept. One of the best things about this paper is the fact that it includes some initial findings of the proof of concept work that was carried out in three different areas – digital identity management, trade finance, and mortgage loan application. Released last year, this is another great blockchain research paper that you should take a look at. 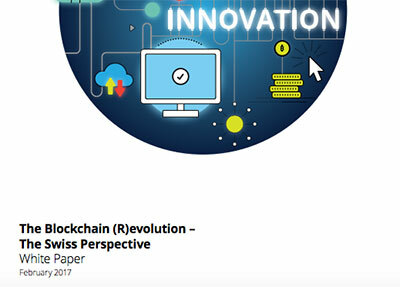 This paper, in particular, focuses on the Swiss market and its main goal is to promote the dialogue between service providers, entrepreneurs, and other players that are interested in the blockchain technology. Besides covering the basics of this technology, this research paper also shows many possible uses for this technology as well as it explores both opportunities and challenges that come along with it.